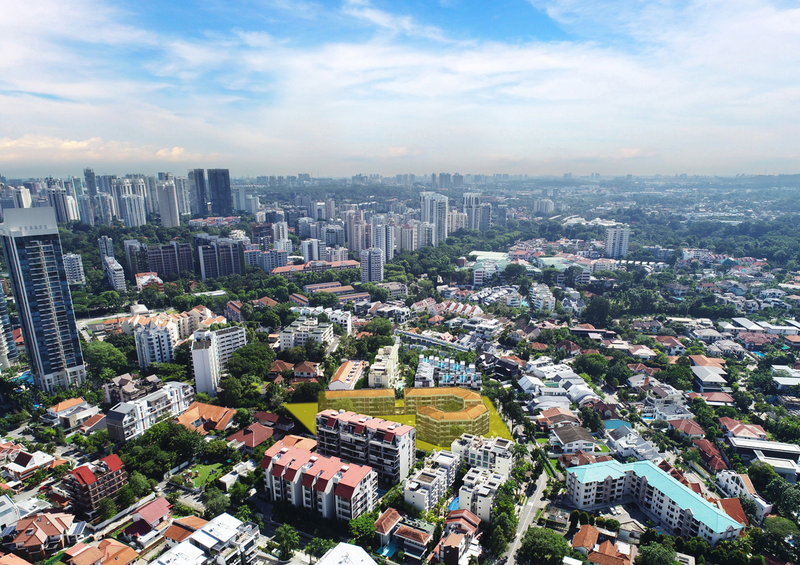 SINGAPORE – Gilstead Court, a collective sale site along Gilstead Road, has just been relaunched for sale by tender by sole marketing agent, JLL. Following the announcement of the July 2018 market cooling measures and the Urban Redevelopment Authority’s revised maximum allowable dwelling units in non-landed residential developments which affects the Gilstead Court, the Collective Sale Committee (“CSC”) proposed to lower the reserve price from S$168 million to S$153 million. This was duly approved at the EGM and owners who are supportive of lowering the reserve price started signing a Supplemental Agreement (“SA”) to effect this. This process requires owners representing at least 80 per cent by total share value and by total floor area to approve. At this juncture, owners representing more than 60 per cent by total share value and by total floor area have executed the SA. Built around 1978, Gilstead Court comprises 24 apartments of 129 sqm each and 24 apartments of 136 sqm each, totalling 48 units in three four-storey apartment blocks. Under the 2014 Master Plan, the 75,479 sq ft site is zoned ‘Residential’ with a gross plot ratio of 1.4. It may be redeveloped to accommodate a five-storey boutique development. It is just a 250- metre walk to the Novena MRT Station. A Pre-Application Feasibility Study (“PAFS”) on traffic impact is not required by LTA for redevelopment of this site. Located in the Newton/Novena locale, Gilstead Court is in an established private residential enclave which is popular with locals and expatriates alike, due to its close proximity to ample amenities, good schools and the CBD. Health City Novena, a world class medical facility, is also in the neighborhood. “Gilstead Court, with its prestigious address, freehold tenure and proximity to three very popular primary schools within one kilometre, stands out amidst the many collective sale sites that are presently being marketed”, says Mr. Tan Hong Boon, Executive Director at JLL. At the owners’ reserve price of S$168 million, it reflects a land rate of approximately $1,590 psf per plot ratio. Factoring in the 7per cent bonus balcony plot ratio, the effective land rate is only $1,486 psf/pr. However, should more than 80 per cent of the owners agree to the lower proposed reserve price of S$153 million, the unit land rate is about S$1,448 psf/pr or $1,353 psf/pr with the 7per cent bonus balcony plot ratio. As there is a high development baseline for the site, development charge is not payable for the proposed redevelopment even with the bonus GFA. “We expect good interest for this site due to the reasonable pricing and the recent strong interest received for the nearby Kampong Java GLS site with seven bidders. With no development charge payable, it is insulated from the half-yearly development charge rate revisions by the Chief Valuer, with the next review expected on 1 March 2019”, continues Mr. Tan. Subject to approval from the Urban Redevelopment Authority, a developer may potentially configure the allowable GFA of 113,067 sq ft up to 98 apartments at a minimum size of 100 sqm. Established shopping amenities, popular eateries and hip cafes are readily accessible with United Square, Goldhill Shopping Centre, Novena Square, Square 2 and Royal Square all located within walking distance to Gilstead Court. The popular Newton Circus Food Centre is also in close proximity. By train, Gilstead Court is just two stops to Orchard, three stops to Botanic Gardens, five stops to City Hall Interchange and six stops to Raffles Place Interchange. By car, it is a mere 15 minutes’ drive to Raffles Place and Marina Bay. Prestigious schools within one kilometre of Gilstead Court include St Joseph’s Primary Institution (Junior), Anglo-Chinese School (Junior) and Anglo- Chinese School (Baker). Other popular schools within two kilometres of the site include CHIJ Primary (Toa Payoh), Singapore Chinese Girls’ Primary School and St Margaret’s Primary School. “For developers looking to replenish their land bank for this New Year, the District 11 Gilstead Court with its proximity to good schools, ample amenities and excellent connectivity would be a compelling investment choice.” concluded Mr. Tan. The tender for Gilstead Court closes on Wednesday, 27 February 2019 at 2.30 p.m.
For a high-resolution photograph of the property, please click here. For a video of the property, please click here.